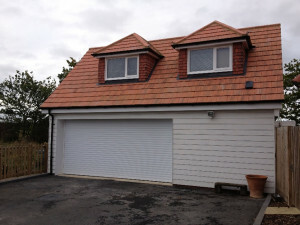 Why Get a Garage Conversion? Whilst many homes in the UK have garages, the truth is that there are awful lot of families who only use them for storing clutter. This is a great shame since that space can be used for anything – whether it’s a new bedroom, office space, gym or a games room. Many people don’t consider using their garages for such things, especially if they’re filled with clutter. It can seem like a mammoth task which is why it’s so beneficial to have the work carried out by professionals who do the brunt of the work whilst allowing you to focus on other details such as how you’ll decorate the room. Another great advantage of having your garage converted is that it can add significant value to your home. Whilst you might not be thinking of selling your home right now, if that time comes then you can show off the garage with pride and not have to worry about showing a dusty room that’s full of old paint cans and other clutter. Once you have contacted us and let us know exactly what you want the room to be used for, then we’ll look at how this can be best achieved. It might be the case that you want wood panelling for the floors or a certain amount of windows – whatever the case we’ll be able to tackle the job using the best materials and at a price that’s right for you. When we come out to look at your garage we’ll be able to discuss the finer details of what the space will be used for and make the necessary decisions accordingly. For example if there are going to be several large furnishings in the room then we can ensure that any doors and windows are in the ideal place and will not be obstructed. Once the room is finished you can then decorate and furnish it in whatever style you choose. In most cases you do not need planning permission to convert your garage providing the work is internal and the building does not need to be extended. Since the purpose of the room is being changed you will need to obtain Building Regulations which means the garage will inspected before and after the project although this is a very quick and simply procedure to ensure your safety. There are many advantages that come with having your garage converted. At Brickwork South East we pride ourselves on our professional service that will turn your garage into the room of your dreams. If you’d like to request a quote then you can so using the contact form or call us on 01233 469240 and we’ll get back to you right away. © Brickwork Southeast - 2016 : All Rights Reserved.